Have I told you how much I hate picking out wall colors?! No? I really, really hate the process. I am a wishy-washy, can’t-make-up-my-mind, worried-it-won’t-look-good kinda gal. But, I picked out a few colors, we had the walls painted (yes, you read that correctly. I got sick of painting and brought in some experts) and now I have to pick out curtains that will go into the rooms. I’ve picked colors for the guestroom and now I’m hemming and hawing over the final colors in our bedroom. I’ve got the tealish/blueish one picked out (because that’s the color of our headboard/bedspread) (which you can see here), but I’m not sure of an additional accent color. 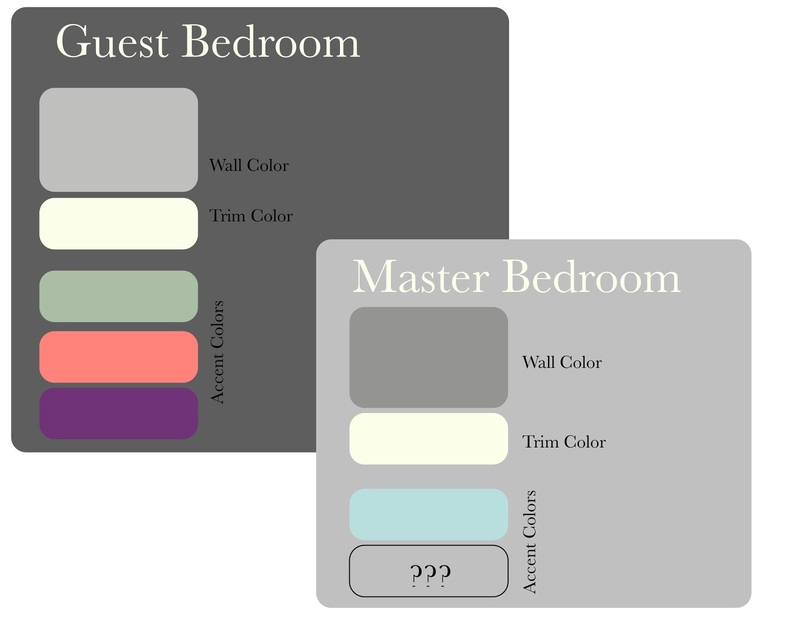 What about a deep brown or a lighter coral than the guest room? I vote a soft green. Very spa like...guy friendly...and soothing.